We’ve all experienced the frustration of a broken screen or weak battery in our iPhone or other mobile device. Although these issues don’t necessarily prevent us from using our devices, it’s certainly not easy using a phone that has a crack down the middle of the screen or when the battery only lasts a couple hours. Many phone owners either try fixing these issues themselves or hiring an inexperienced technician to take care of it, which can often result in even more issues. Avoid this altogether and instead, call the experts at Fix My Gadget for quick and affordable repairs. 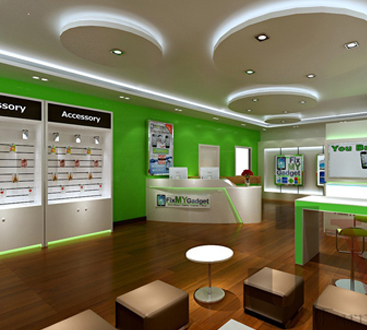 Let’s take a look at some of the benefits of relying on us for cell phone repairs. Phones and other mobile devices have gone through a lot of changes over the years. At first, there was a huge push to make mobile phones as small as possible. Although this was beneficial in that the device was more mobile and could fit in your pocket more easily, there was less potential to make a really powerful device which people also really wanted. Nowadays, we have hundreds of different phone models, all with very different screen sizes and components, meaning it’s pretty difficult to find the components you need to fix a device on your own. Our employees here at Fix My Gadget are certified level-3 technicians, meaning we’re equipped to handle any problem you’re having with your iPhone, tablet, computer, or any other electronic device. Many people are terrified of dealing with issues involving their electronic devices because they’re worried they’ll have to wait weeks or months to get it back. With Fix My Gadget, however, you’ll never need to ship your device off to some remote location with no word of when you’ll get it back. And you won’t have to deal with scheduling out your repair behind a whole line of other desperate customers. 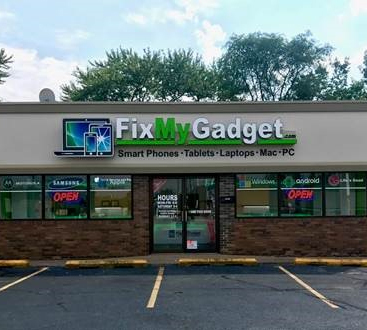 With Fix My Gadget, you can either call us ahead of time for a cost and time estimate, or simply visit us at one of our convenient locations, and we’ll get to you as soon as possible. Unlike many device repair companies in the industry, we aim to assist you with any problem you’re experiencing including cracked screen repairs, a weak battery, water damage, and much more. We also repair tablets, game consoles, computers, and other electronic devices like MP3 players or iPods. Even if you have no idea what issue you’re experiencing, take it into us and we’ll diagnose the issue before our repair specialists work on it. 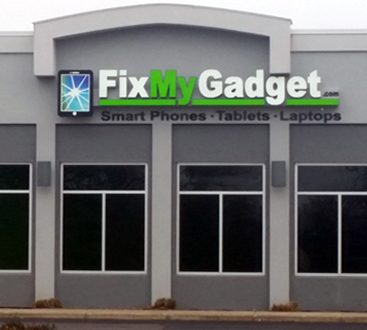 Here at Fix My Gadget, we try to make it as easy as possible to get the repairs you need for your electronic devices. 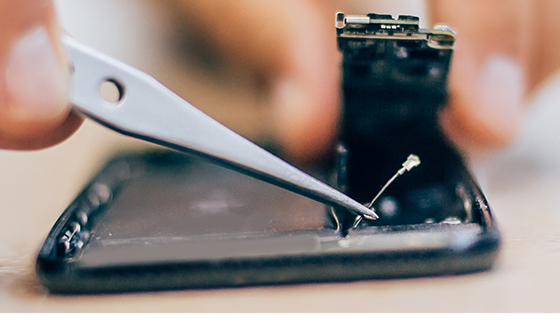 Our certified level-3 technicians are always on hand to assist you and will even provide you with a complimentary UV sanitization service each time you have your device repaired with us. Give us a call or visit us at one of our locations to get started.